Guess what: girls like footie too – and so do grizzlies! (Though they can’t bear losing.) 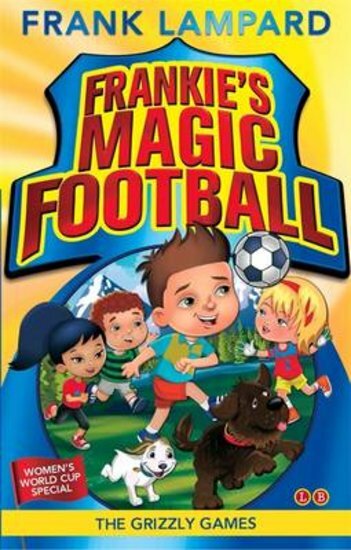 If you like bears and footie, get your paws on this latest adventure with Frankie and friends. The gang head to the Canadian Rockies, where their footie quest has a very rocky start. They land in not-so-hot water straight away – a freezing cold river. Yikes! Not only do they feel rather soggy. They also have to help a new buddy win a vital women’s tournament. But there’s also the little matter of a large furry friend who really wants to play! The tension is un-bear-able!